Showing results by author "Robin M. Kevles-Necowitz M.Ed., LPC"
Conventional wisdom teaches us to put our children's needs above our own. Our worth as parents is often judged by how much we sacrifice for the good of our children rather than how happy and well-adjusted they are. 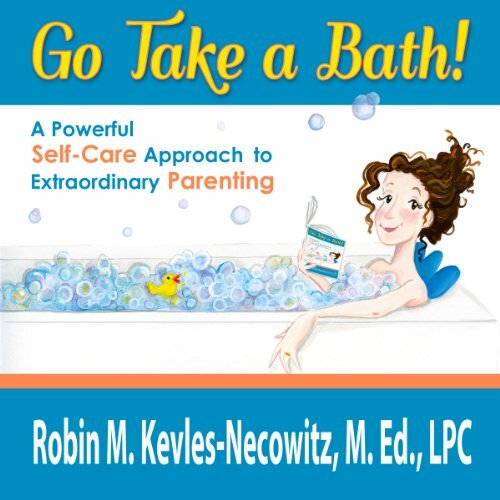 In Go Take a Bath!, licensed psychotherapist and parenting coach Robin Kevles-Necowitz suggests that we invert this modern-day standard. She advises us to make parents, not children, our top priority, in much the same way that flight attendants instruct us to put on our own oxygen masks before assisting others.